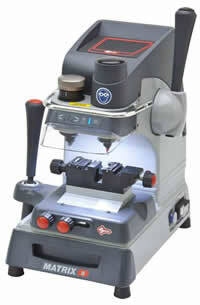 Twister II provides an economical solution to duplicating a variety of keys on one machine. Easy to use, reliable, compact, and built to last; the Twister II offers convenience, accuracy and precision assured by the combination of the functional features listed below. With the modest price point, and a higher re-sell price of the keys that the Twister II will duplicate, you can quickly offset the purchase price of this machine. 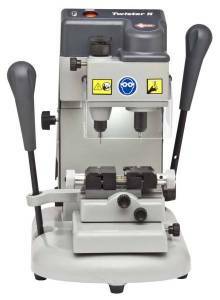 The Matrix II is a high performance machine that provides precision duplication of laser style keys. The features of this premium model include LED lighting and electromechanical calibration. The compact design and weight make this model suitable for either counter or mobile use. 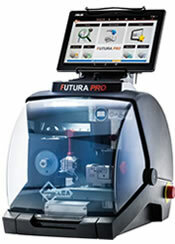 The “premium” machine for the duplication of high security laser and Tibbe® style keys. 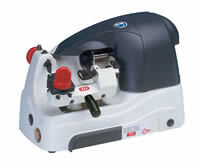 The line of Matrix key machines has been the trusted laser key duplicating machine for many years. With the Matrix II, you will find the same rugged construction combined with many user preferred features that have made the Matrix the professional’s choice for high security key duplication.